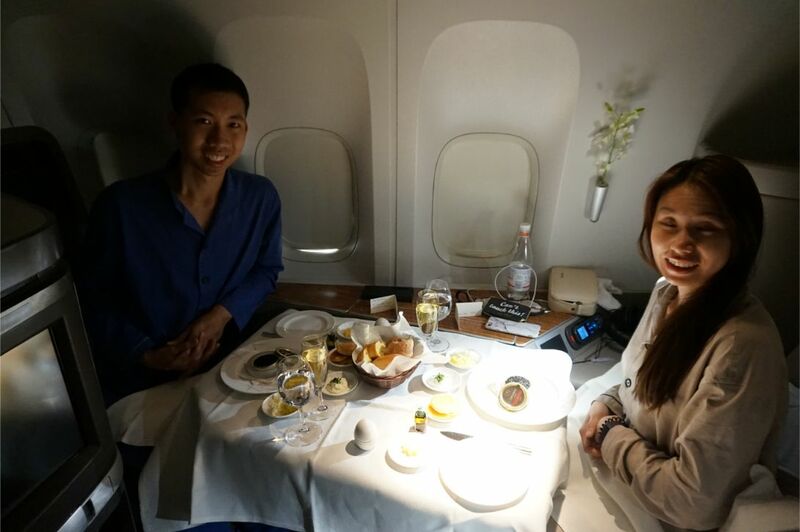 Cathay Pacific's inflight First Class experience may not be the best in the world, but it's still very, very good. “What about women and children?” she asked, sardonically. She gave me one of her looks. Clearly, The Milelioness had yet to comprehend the biggest problem with trip reports: unobstructed cabin photos. 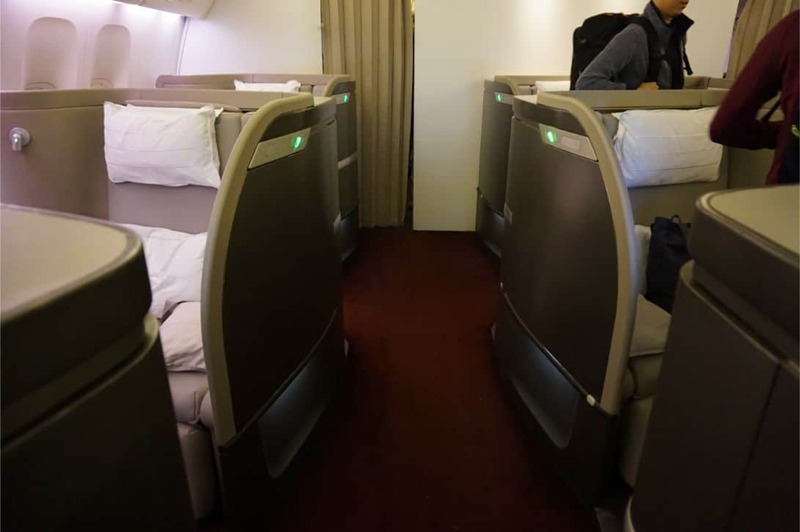 Since this would be my first ever review of Cathay Pacific’s First Class, I wanted to make sure my photos were free of random elbows and cropped legs. 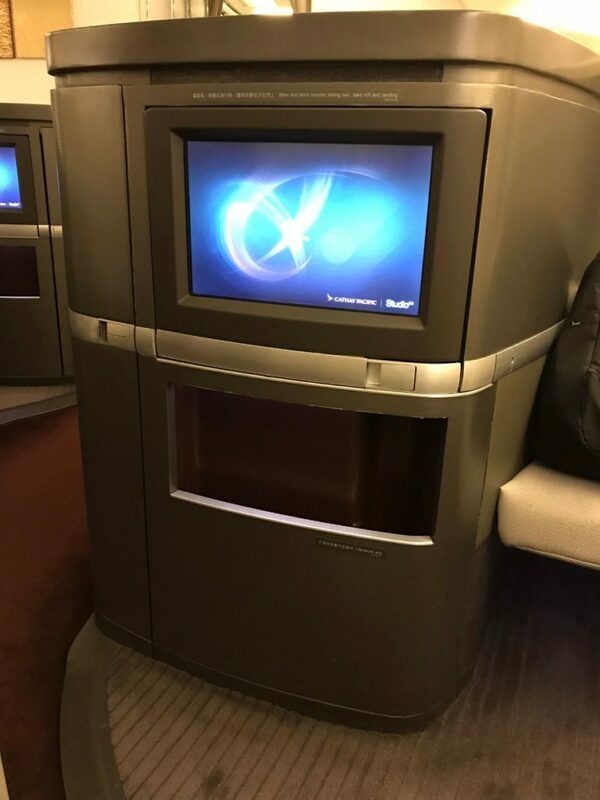 As it turned out, we ended up boarding in a civilized fashion, slowed down by the Hong Kong authorities’ perplexing insistence on checking everyone’s bags on the aerobridge once more for rogue water bottles. After that minor delay, we were welcomed into the First Class cabin of a Cathay Pacific B77W and shown to our seats. 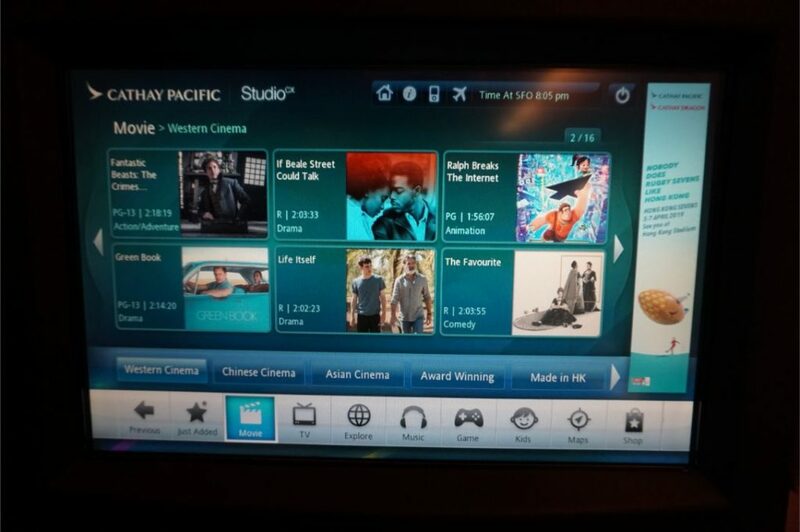 Unlike most other airlines which go four-across in First Class, Cathay Pacific adopts a 1-1-1 layout instead. 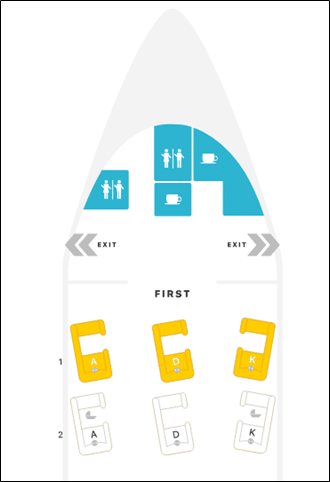 The port A & middle D seats are separated from the rest of the cabin by a chest-high wall, so if you’re traveling as a couple you’ll want to take the D & K seats. Solo travelers will of course prefer the A seats, as they have pretty much a private aisle. Keep in mind, though, that the D&K seats face away from each other so it’s not like you’ll be reaching out and holding hands across the aisle. A better bet may be to take both D or both K seats, so at least you can turn around and talk to your partner. That’s what The Milelioness and I had gone for: 1K and 2K. 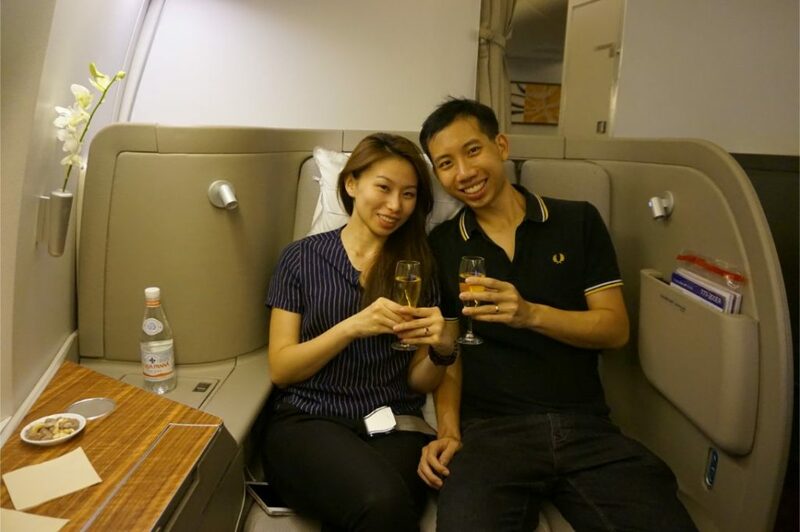 Although Cathay calls their First Class seats “suites”, there aren’t actually any doors around each seat. 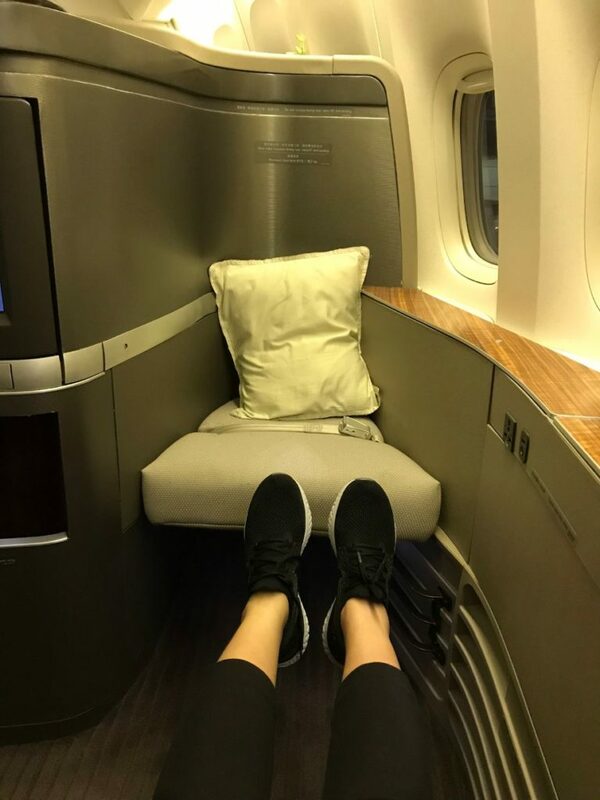 However, they’re still extremely private, and with six seats in the cabin, this is as intimate an arrangement as it gets. 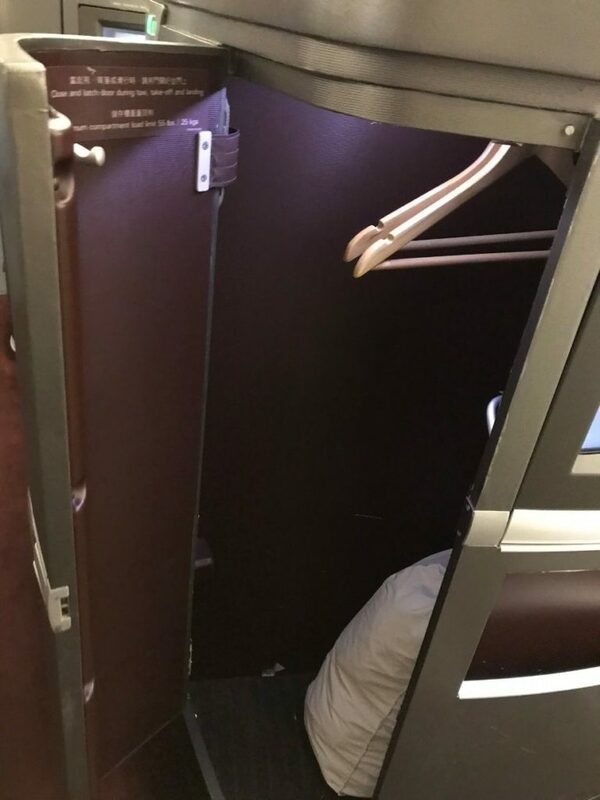 There’s a mini-Business Cabin directly behind the First Class cabin with four seats, but I couldn’t even tell it was there. 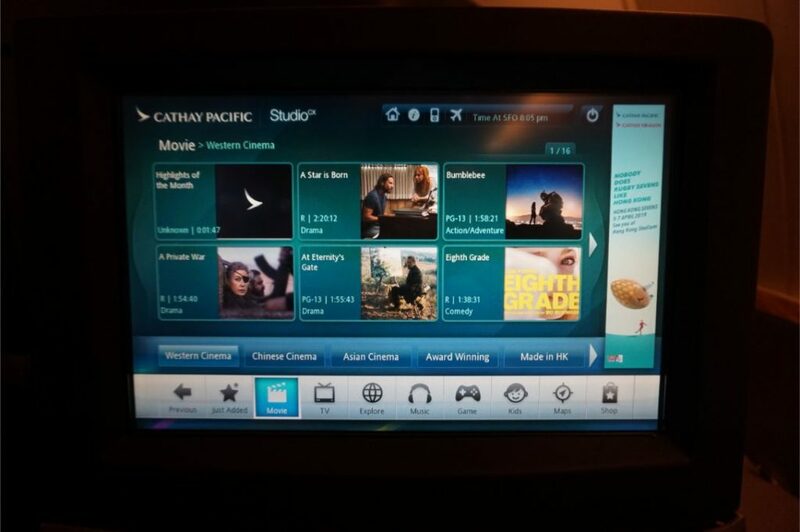 Cathay’s First Class seats are huge at 36 inches wide. It’s so wide it’d even give SQ’s colossal 2006 Business Class (34 inches) a run for the money. 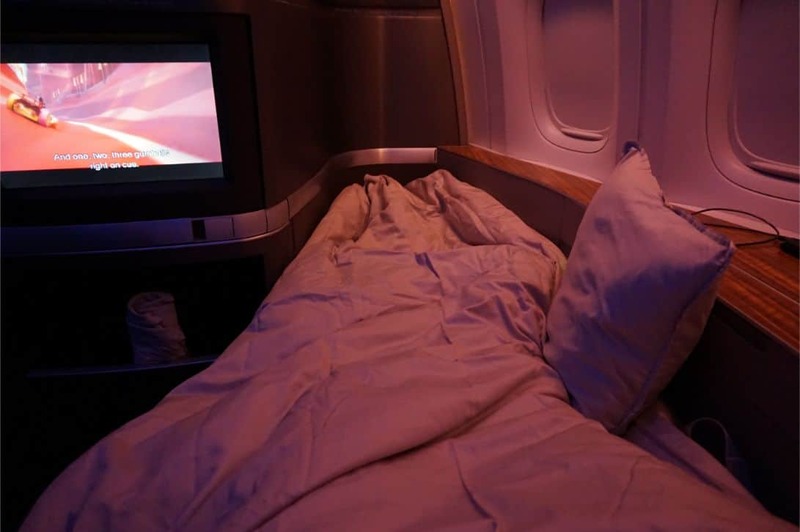 The seat goes full-flat to a 81 inch bed (more on that later), and easily sat both The Milelioness and myself with room to spare. 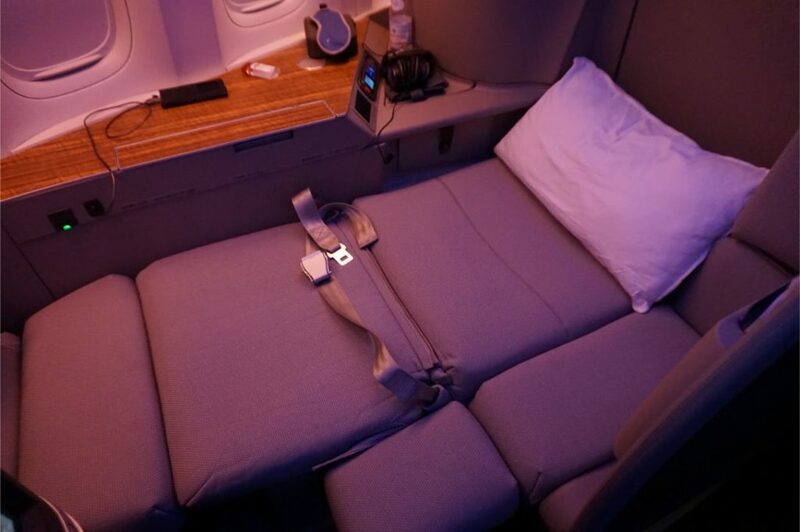 Cathay’s First Class seats are hardly new, and have actually been around for close to a decade. There was a cabin refresh between 2013-2014 which saw new upholstery and other cosmetic changes, but otherwise the DNA of the seat has remained unchanged. 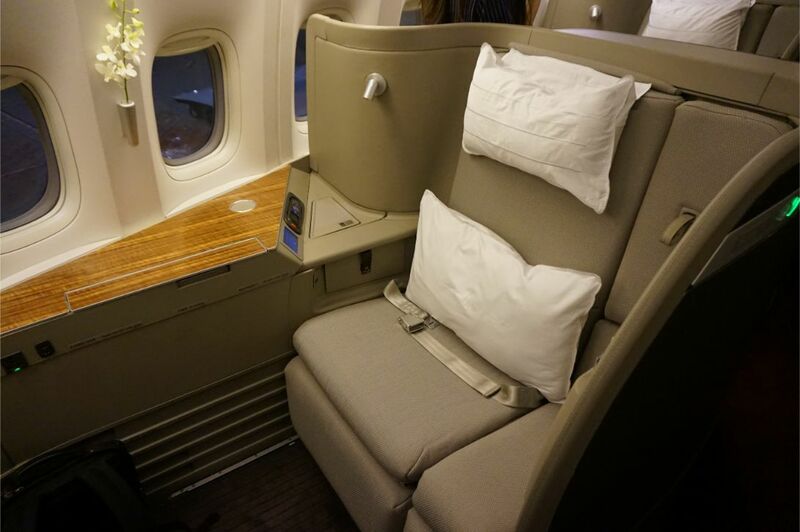 That’s why it was surprising that the seats were in fairly good condition, and the cabin was spotless. The suite is designed for social visits, and to facilitate that there’s an ottoman in each seat that doubles as a place for a visitor to sit during meal service (seatbelt included). You could also use the ottoman to put your feet up, but it’s unlikely the average Asian could reach it without reclining the seat (1.65m Milelioness shown for scale). 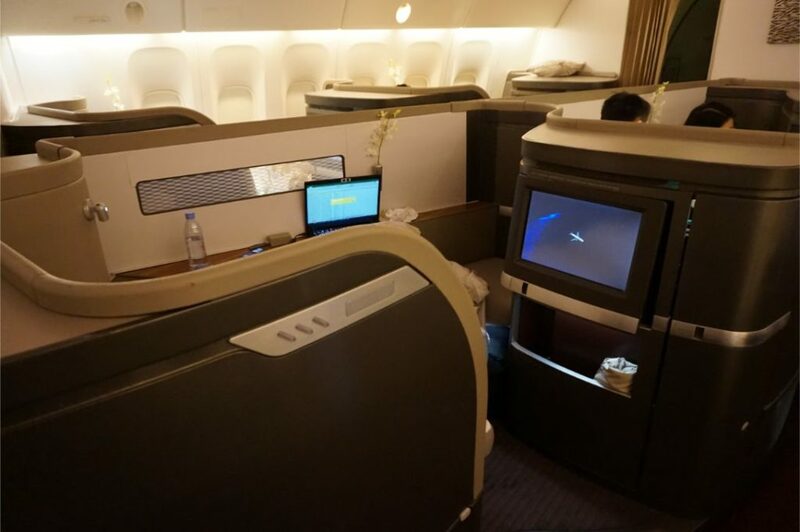 You’ll also note that there are no overhead bins in the First Class cabin at all, to create the illusion of space. 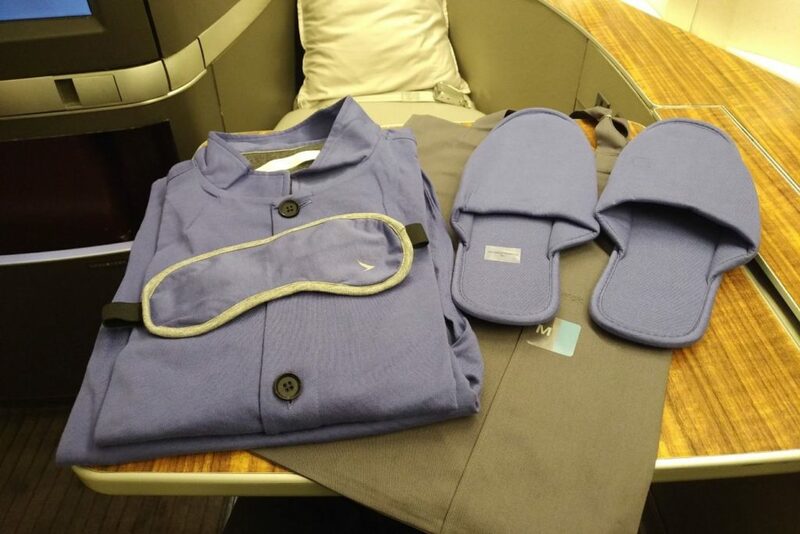 Instead, each suite has its own closet for stowing carry-on bags and clothes. You can store small items below the ottoman for taxi, take-off and landing. Bulky items like laptops can also be slotted into this nook under the IFE screen. One of the changes that the 2013-2014 refresh brought was a touch-screen control panel for the seat. It’s nice to have, but doesn’t actually do anything that couldn’t be done just as well with buttons (which would have the added benefit of tactile feedback when pressed). 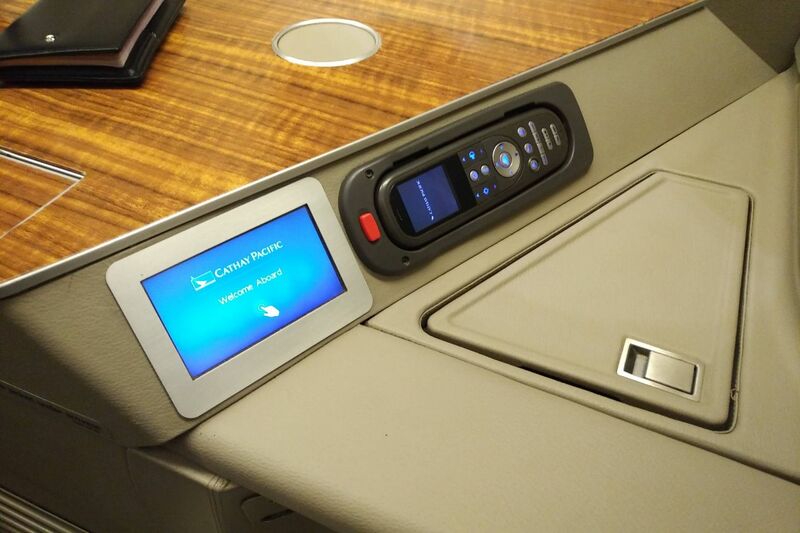 This panel is placed alongside a last-gen IFE remote. The cubby you see in the photo is good for storing passports and phones, but nothing larger than that. 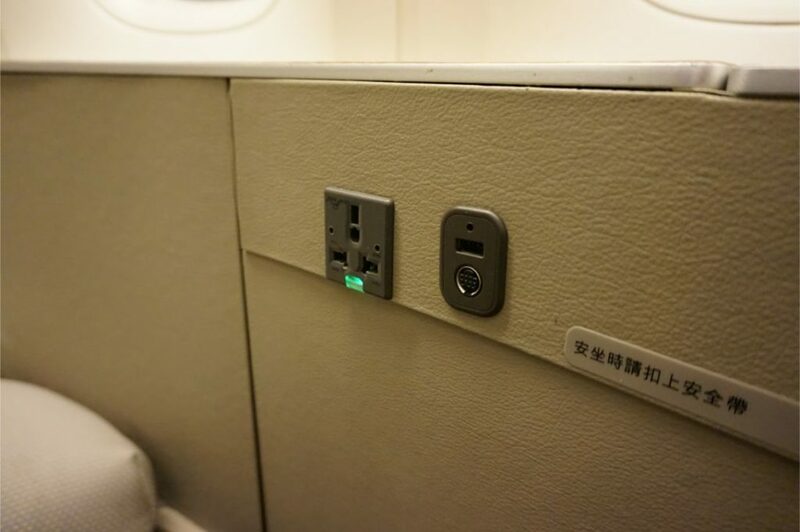 Each seat has the usual universal in-flight power plug plus a single USB port for charging. The crew came around with welcome drinks. 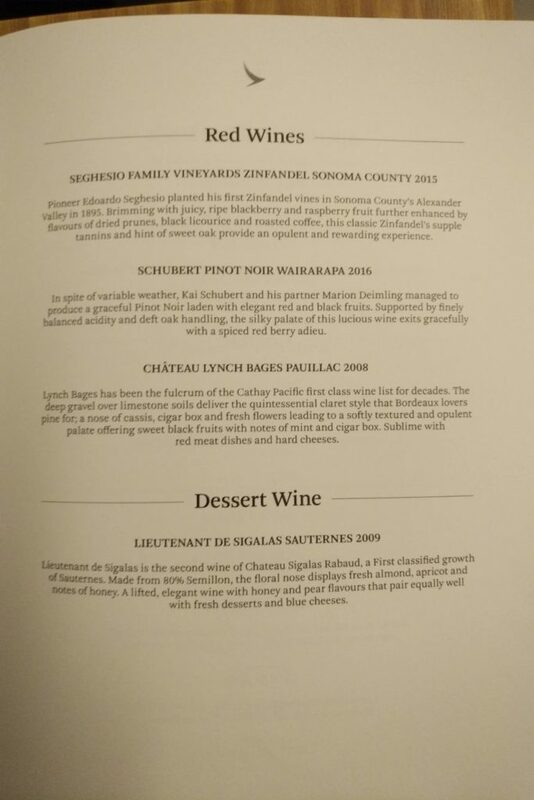 In April 2018, Cathay announced that it would start serving a “rotating program of the finest vintage champagnes”, including Krug 2004, the 2006 Taittinger Comtes de Champagne, and the 2007 William Deutz Cuvee. 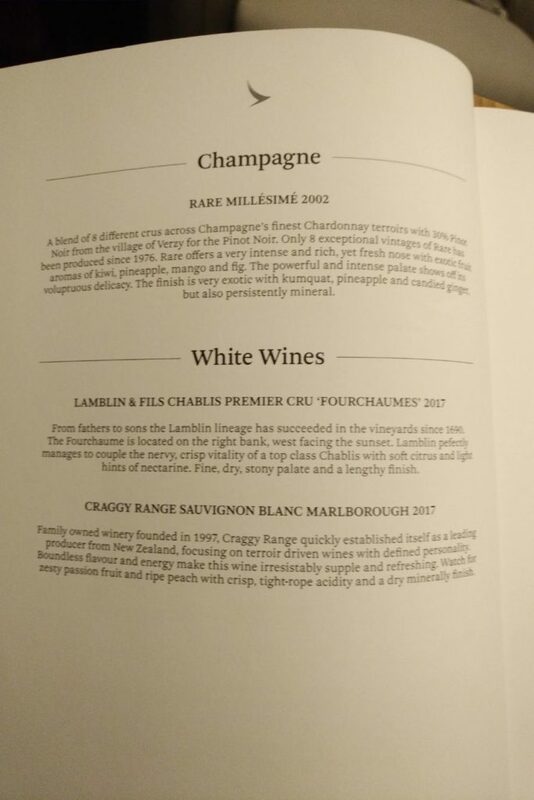 On this flight, the 2002 Piper-Heidsieck Rare Millesime Brut was poured on the ground, an excellent champagne that retails at about S$240 in Hong Kong. Unfortunately, Cathay no longer serves an amuse bouche on the ground to First Class passengers- this was cut in 2017. There was talk about a revival in 2018, but for what it’s worth we didn’t get anything on our flight. 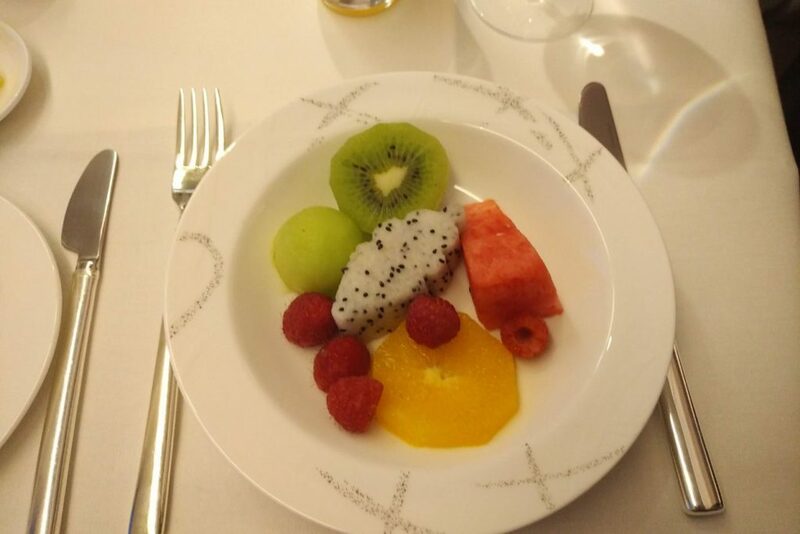 A plate of warm mixed nuts was instead served. 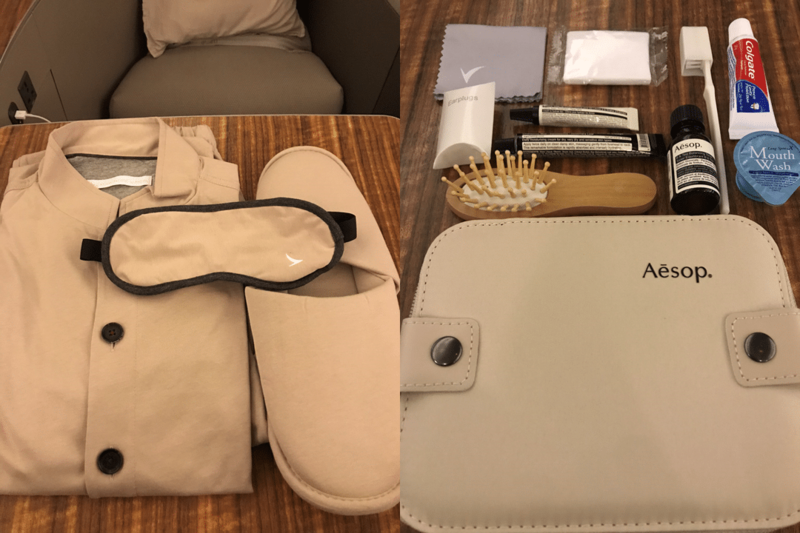 The crew returned again to present the PYE pyjamas and Aesop amenities kits. The PJs were extremely comfortable and breathed well. They came in a nice little bag with a handle for easy carrying. 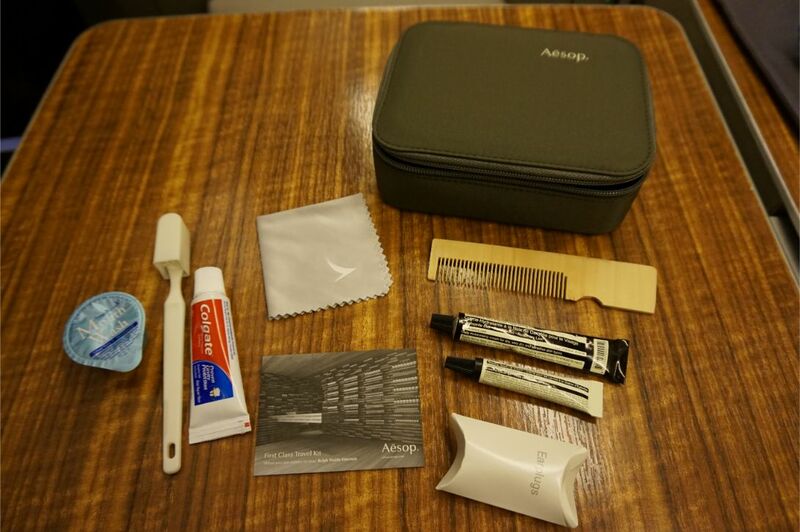 The Aesop amenities kit featured a toothbrush set, a cloth for glasses, earplugs, a comb, hand cream and lip balm. The Milelioness received her own Aesop kit and PJs too. We were also presented with the menus, which came with a solid wooden backing. 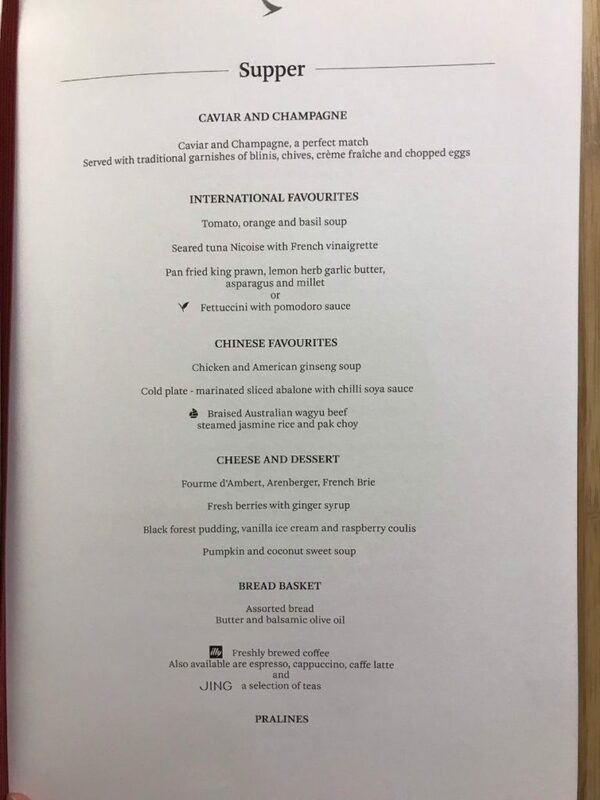 CX872 was set to depart at 12.55 am, so we didn’t particularly feel like eating straight away and indicated this to the crew. Cathay does offer dine-on-demand in First Class, so the crew noted our preferences to save the item for us later. The wine and drinks list was extensive, although there was disappointingly only one champagne available on this flight. This isn’t the Krug/Dom dilemma that SQ presents! …and the fully made up one. You get a spare pillow, a duvet cover and a blanket. The comfort of the bed was exquisite, and the sheets were silky smooth. 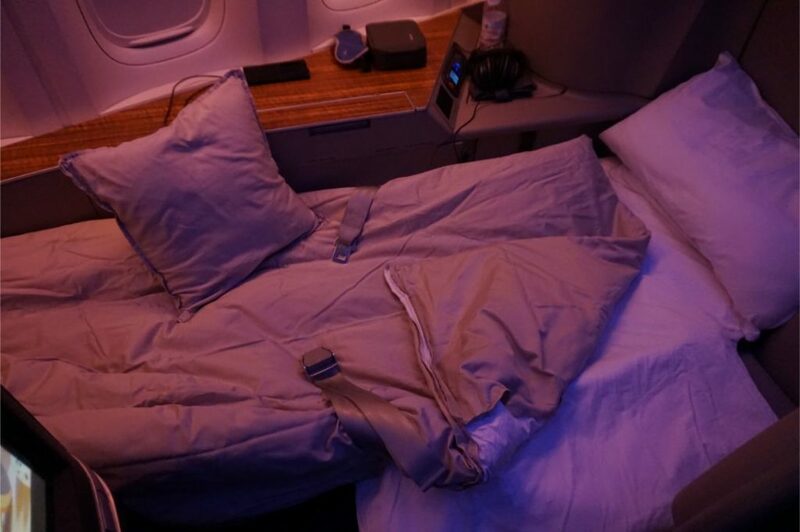 I had one of the best sleeps I ever had on an airplane, and awoke six hours later. The Milelioness was up by now, so we asked if they’d set up the couples dining seat. To do so, they bring an extension to upsize the existing tray table, before placing a larger-sized table cloth and a second place setting for the guest. There was plenty of space to dine, even for two people. 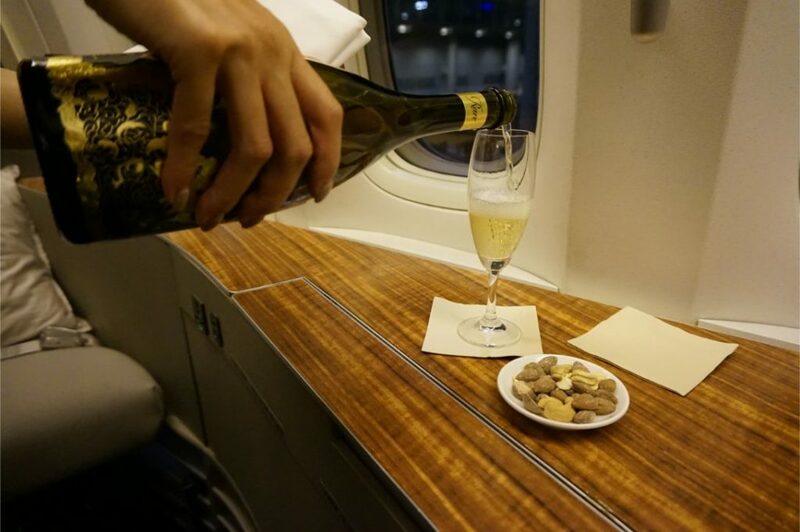 We started off with caviar and champagne, because First Class. 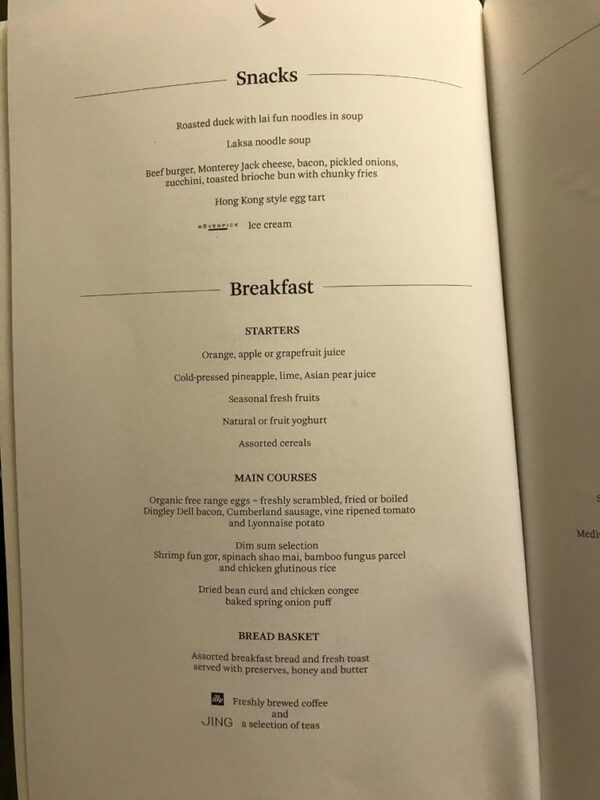 Cathay gets bonus points for providing a mother of pearl spoon with the caviar. Caviar spoons are typically made out of inert material like mother of pearl so not as to affect the taste. 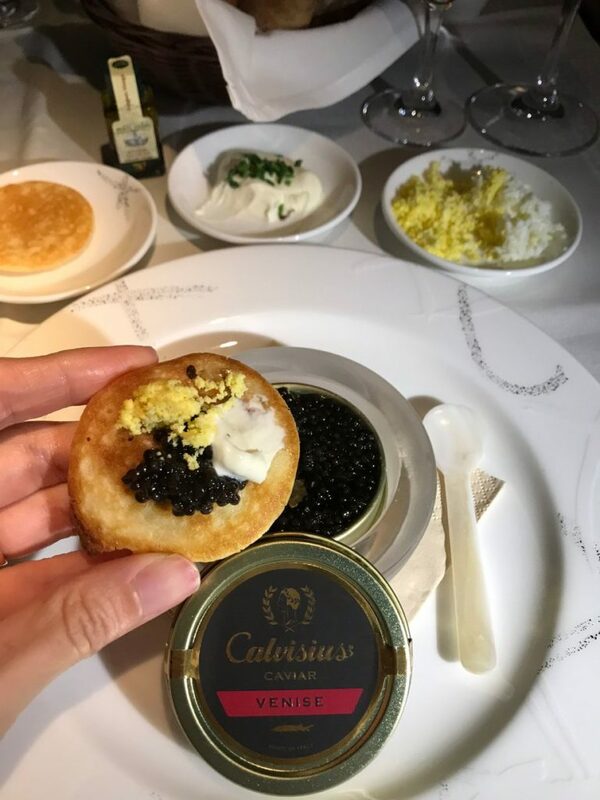 It’s apparently a big no-no to eat caviar with a metal spoon (although come to think of it, isn’t the caviar stored in a metal tin?). 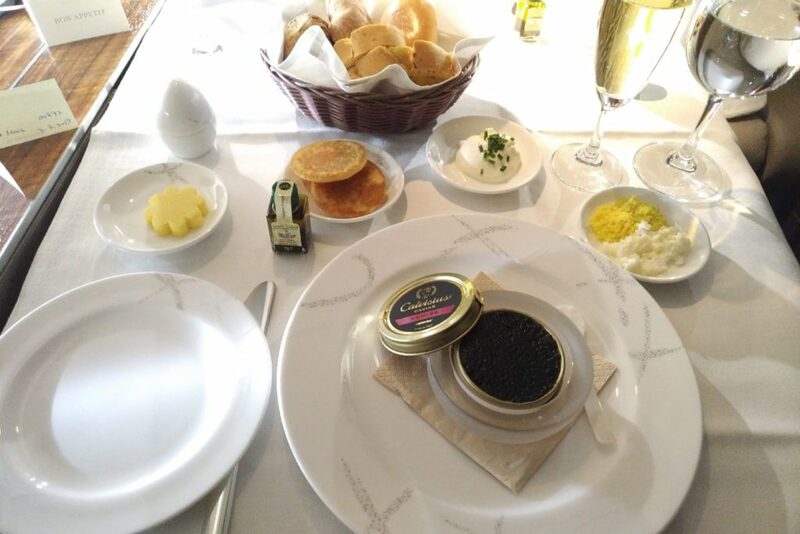 The caviar came with the usual accompaniments of egg white, egg yolk, creme fraiche and blinis. 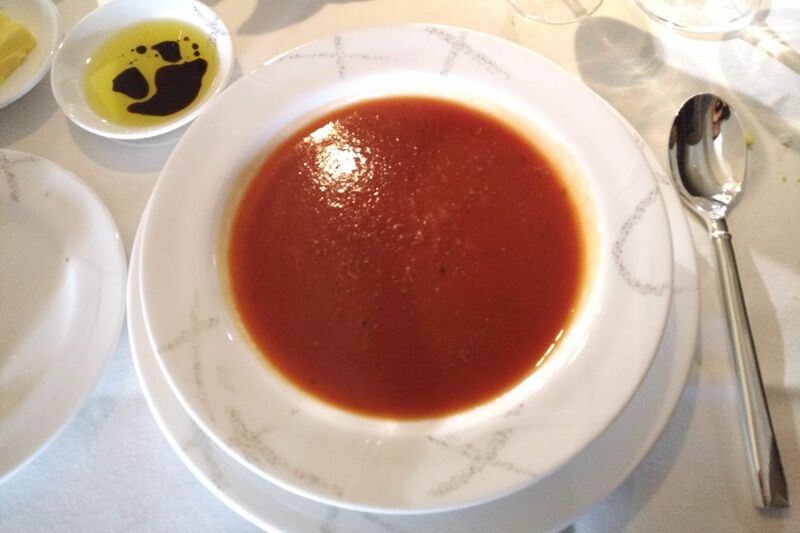 The next course was a tomato soup, which was rich and hearty. 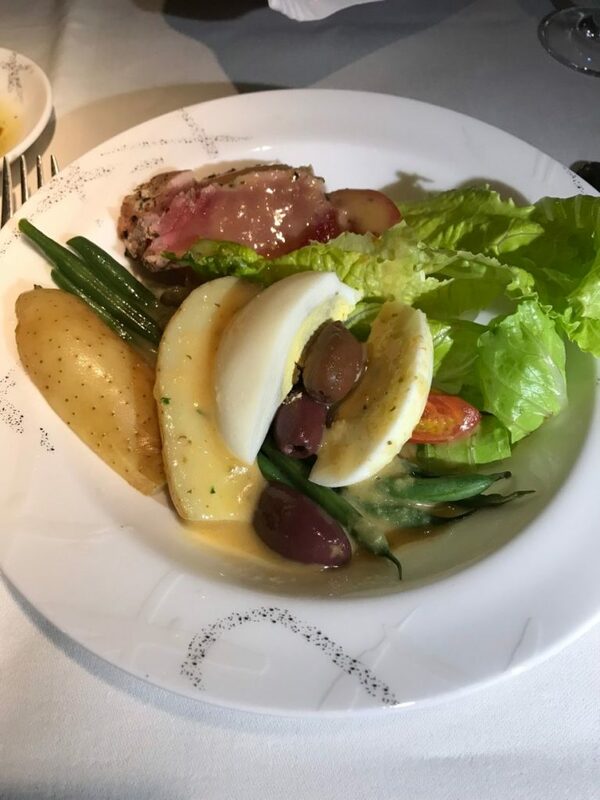 You could also opt for a salad, which was somewhat uninspiring, as airline salads tend to be. We each chose different main courses for more photo variety- I had the braised Australian wagyu beef with vegetables and rice, which I felt was very average for First Class. 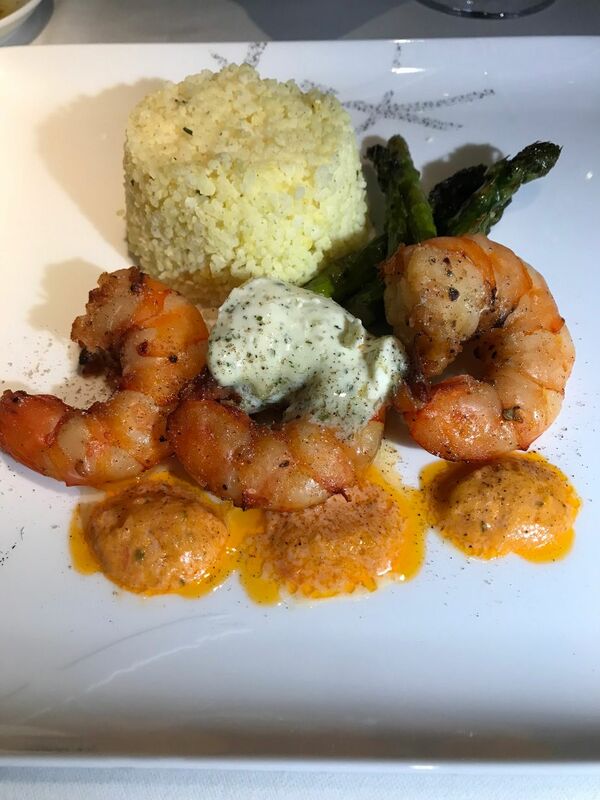 The Milelioness had grilled king prawns, and she was of the opinion that they were overcooked. I didn’t think either of the mains was all that great, which was disappointing considering we were flying out of Cathay’s home base. 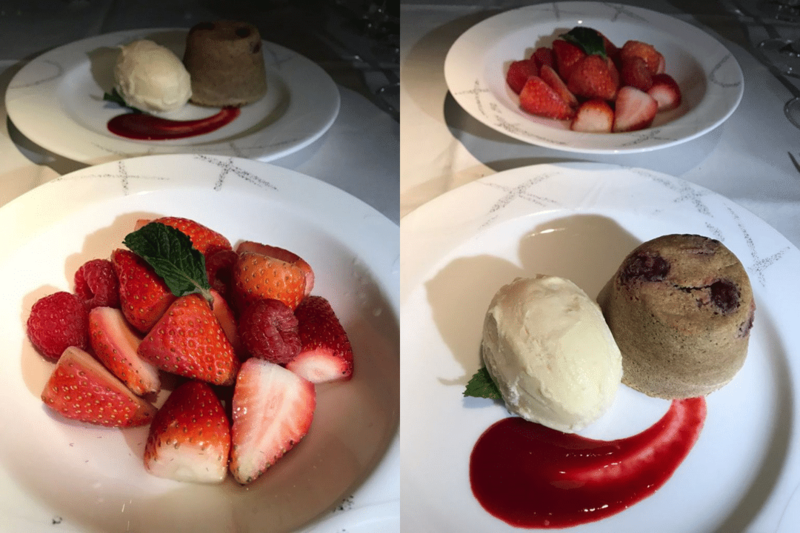 Thankfully, dessert was a lot better. We got the mixed berries with ginger syrup and black forest cake with vanilla ice cream. 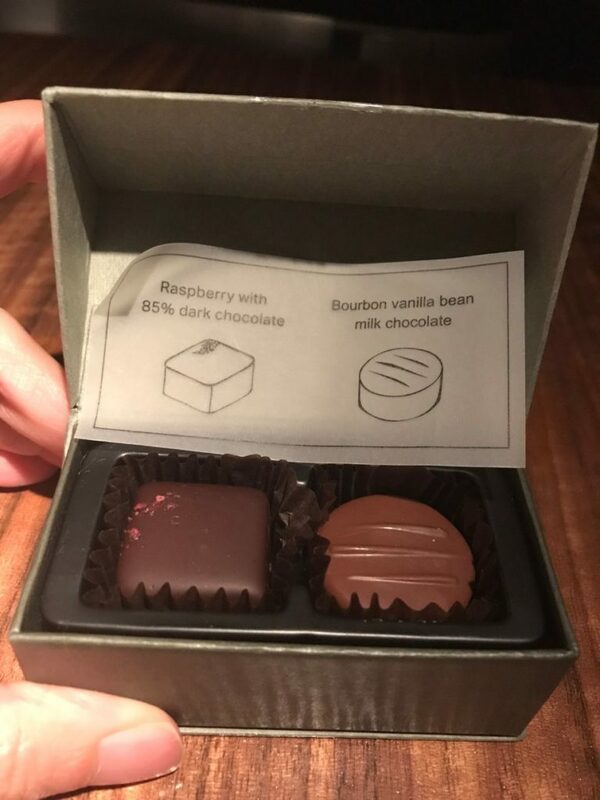 Each of us got a box containing two chocolates after dinner. I’m led to believe that this too is a cutback as passengers used to receive an individual plate with a variety of chocolates. 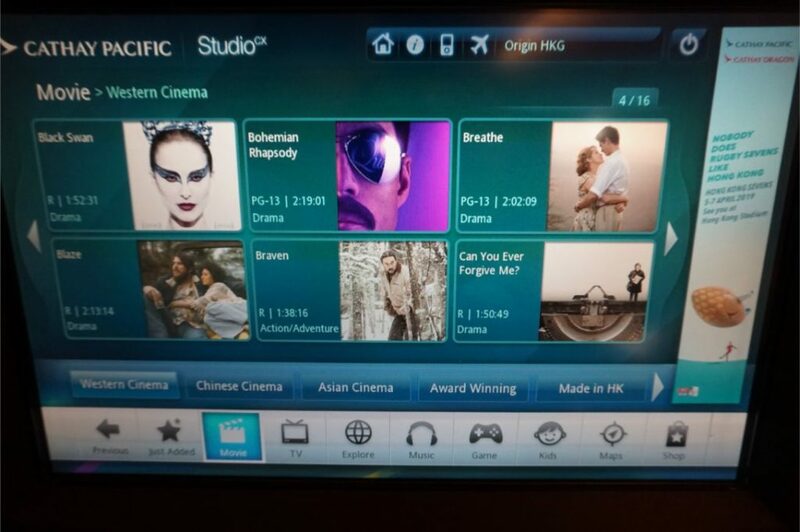 With a good deal of the flight still left, it was time to explore the IFE. 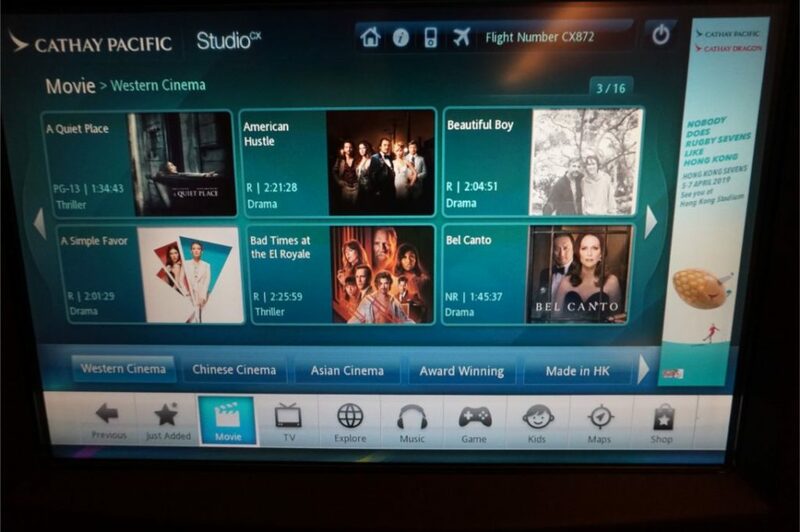 Here’s an area where I think SQ has the beating of Cathay, especially on their latest aircraft. In contrast, I felt that Cathay’s selection was smaller and didn’t have as many first-run movies as SQ. I ended up watching Ralph Breaks The Internet, which I award 4 out of 5 Kardashians. Speaking of Kardashians, I also checked out the bathroom. 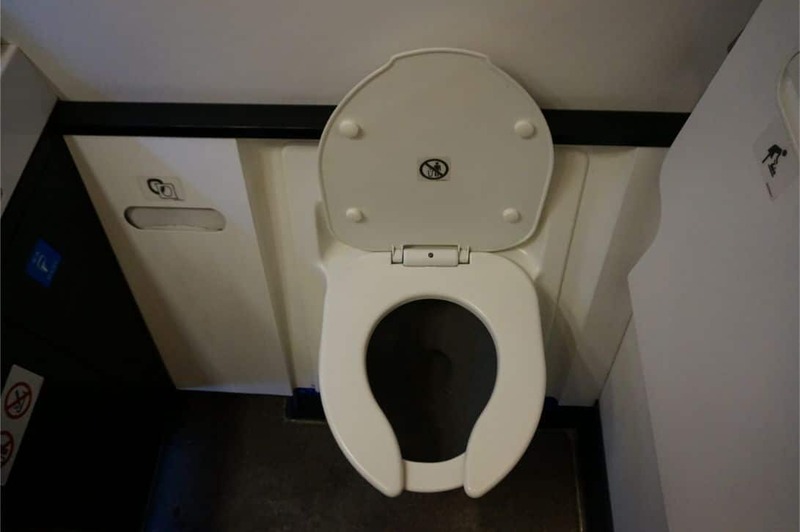 There are two bathrooms at the front of the cabin, which is more than adequate for a maximum capacity of six passengers. 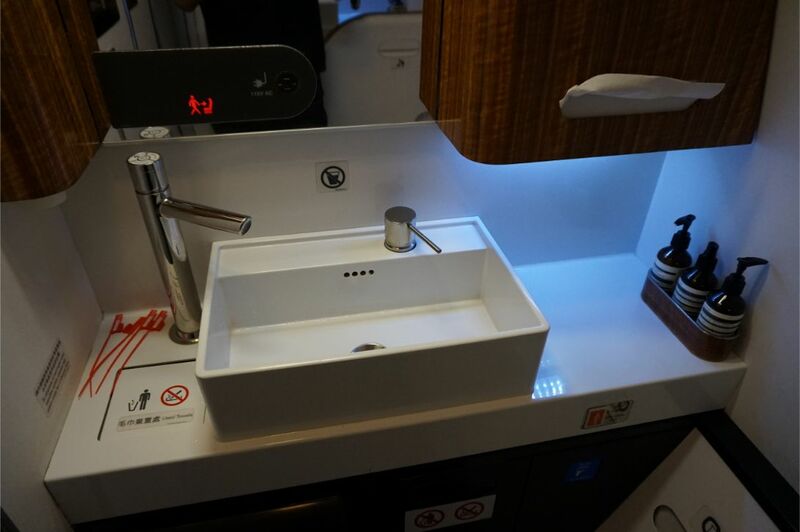 Cathay hasn’t done anything special with their bathrooms on the B77W, apart from a nice looking sink. The red security seal tags had been left on the counter, whether by accident or design I’m not entirely sure. 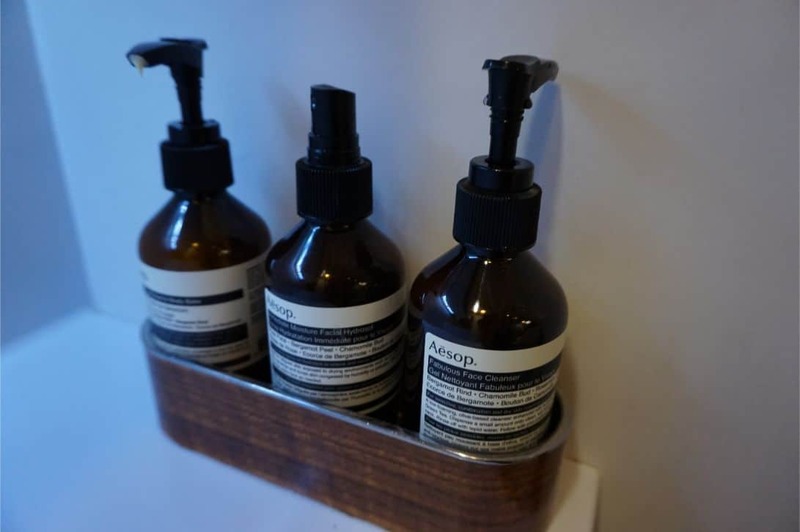 The toilets had Aesop face cleanser, mist and hand lotion, but surprisingly not handwash. After another nap, we were approaching the West Coast and it was time for breakfast. We once more asked them to set up couples dining, and they once more obliged. Breakfast started with fresh fruit. 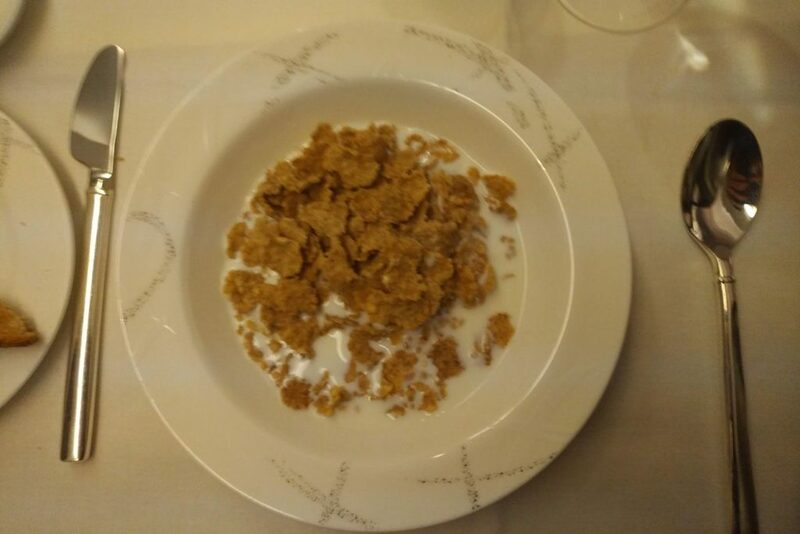 And an optional cereal course. 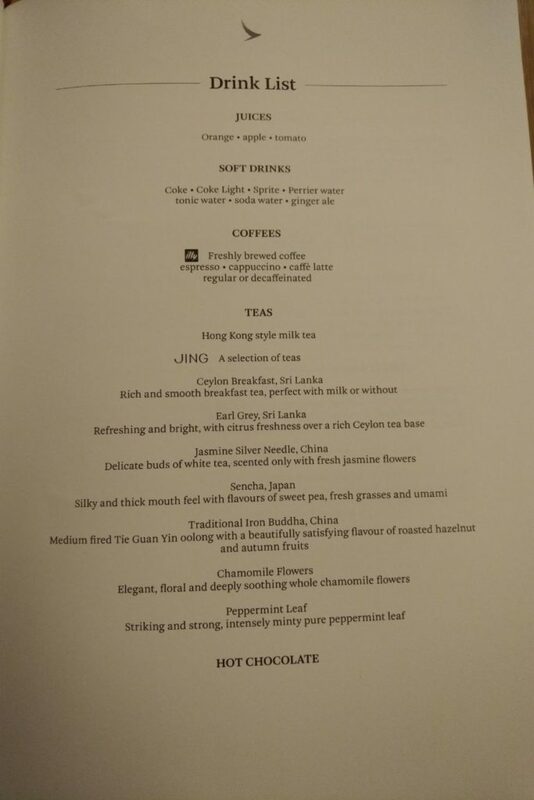 I chose the dim sum course for my main, which I surprisingly found to be disappointing. 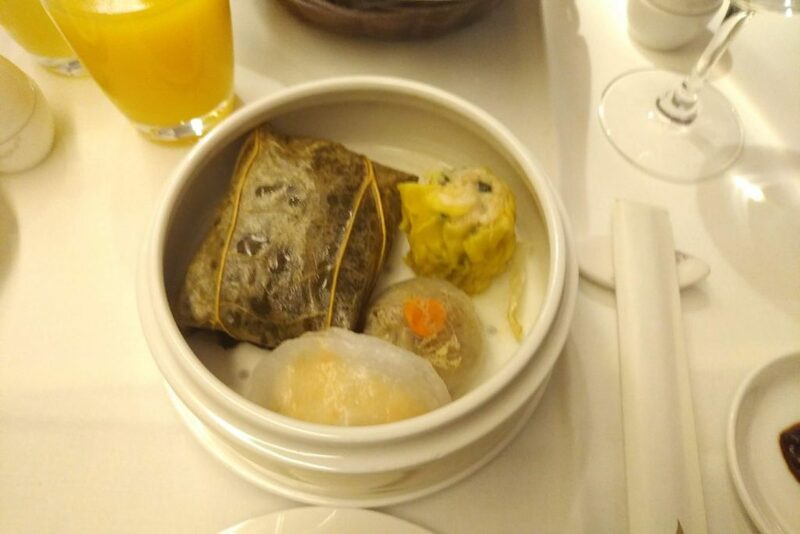 There were three small pieces of dried out dim sum, plus some glutinous rice. Given where we were departing from, that seemed almost criminal. The western option was miles better, with juicy sausage, a perfectly moist tomato and potatoes that still had a little bit of crisp in them. 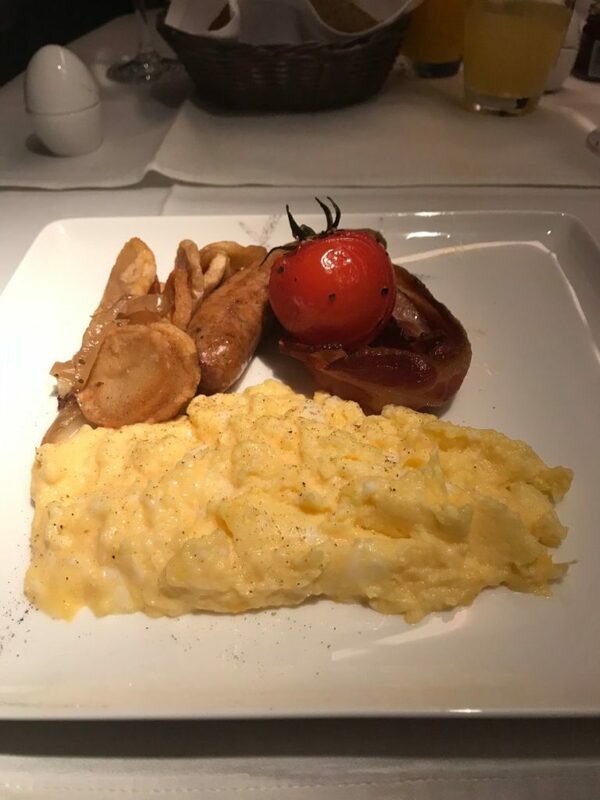 The scrambled eggs were the star of the dish- Cathay makes their eggs on board in the galley. I have no idea how they do it, but they were delicious. With breakfast out of the way, it was just down to waiting out the last hour of the flight, which arrived ahead of schedule at SFO. 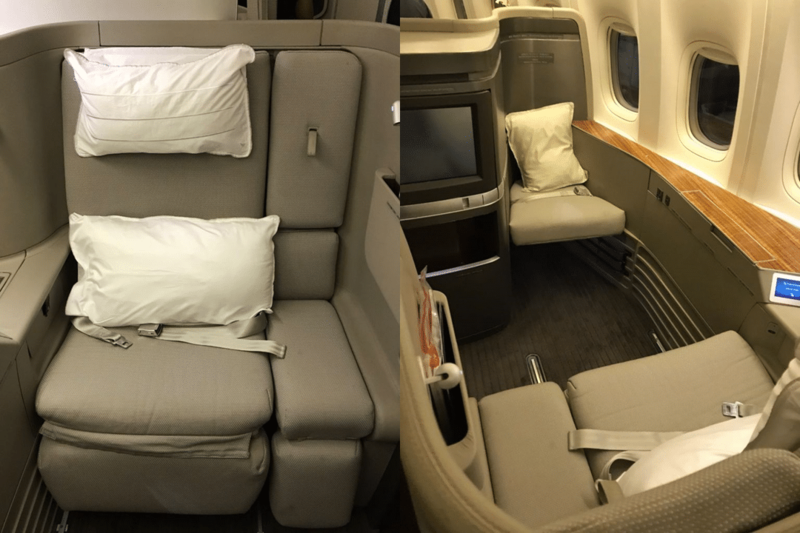 If you asked me to compare the onboard B77W First Class products of Cathay Pacific and Singapore Airlines, I’d have to say that SQ comfortably comes out on top. 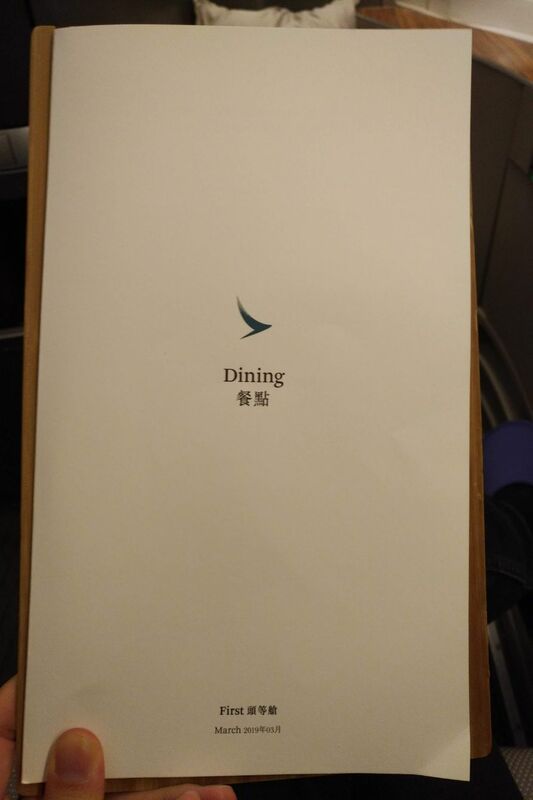 Their superior IFE, better F&B and obsessive attention to service detail wins the day for me. 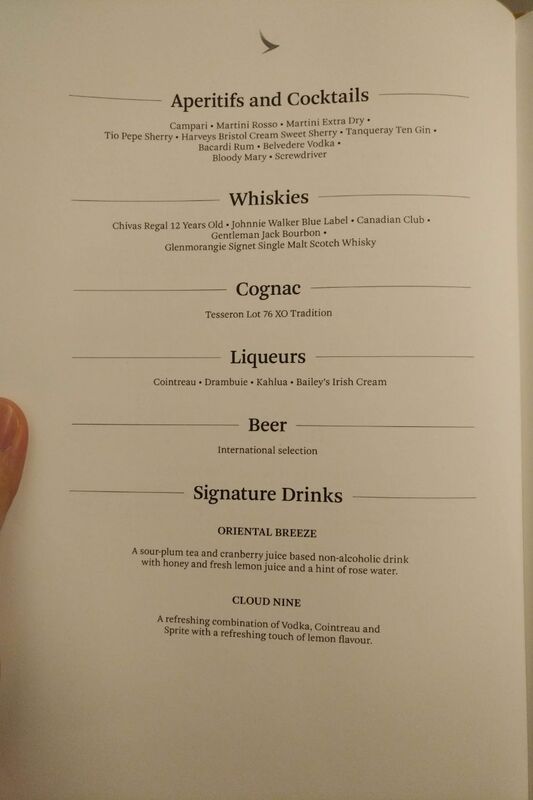 That said, Cathay Pacific still offers a very compelling First Class product, and we thoroughly enjoyed our flight. 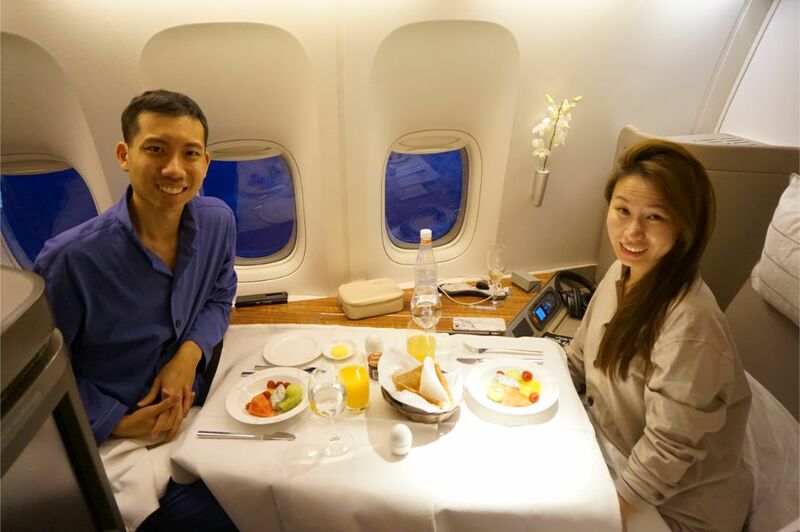 The bed was one of the best I’ve had in the air, and couple dining is something that SQ lacks on its B77Ws. The Cathay crew were not as polished as SQ’s, but very friendly and efficient. 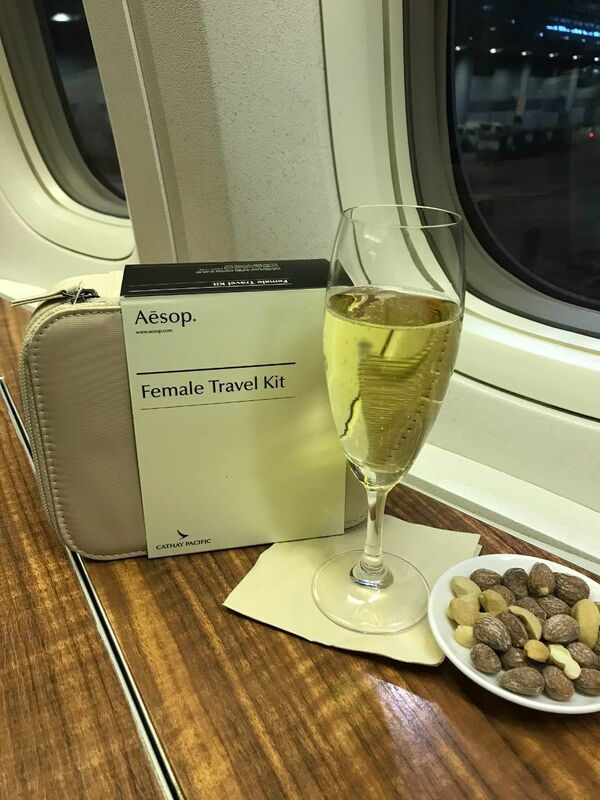 All in all, a great flight, and a great way to start off The Mileymoon. Great report as always. 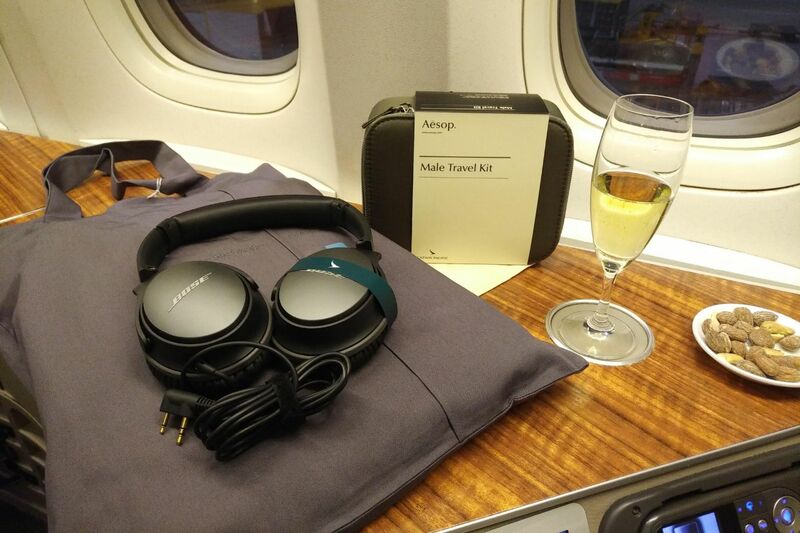 Ill be flying this exact product to JFK in December and your review is so helpful! 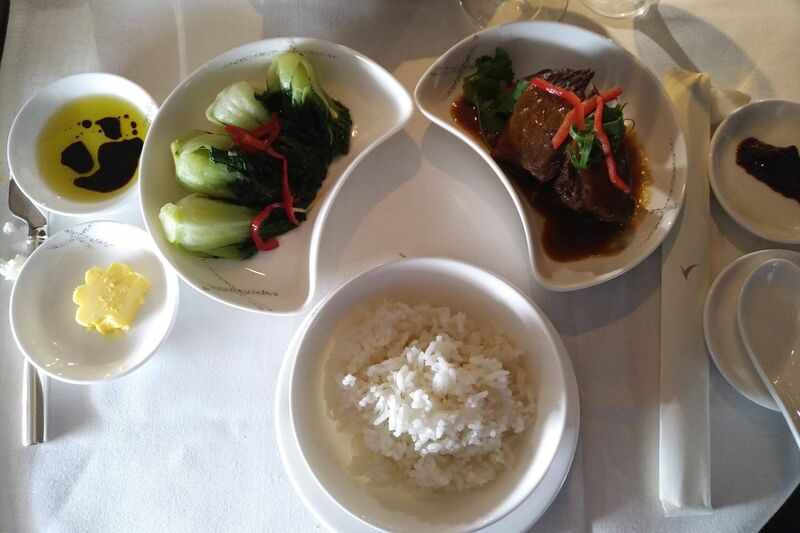 Definitely skipping the dim sum platter…. looks exactly like what they served me in business last week. Horrible.